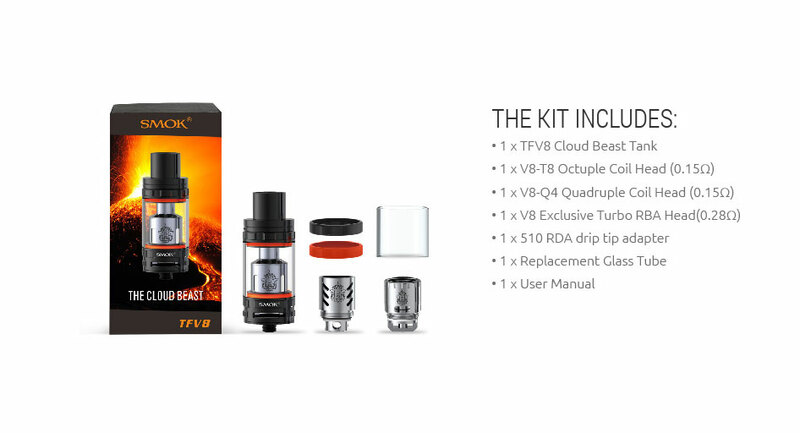 The all new TFV8 Baby Beast subohm tank by Smok has just raised the subohm'g bar. 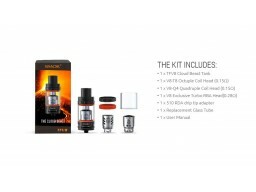 Cores are available in 2, 4, 6 to 8 coil cores. This tank features a leak proof refill through the top: nifty!